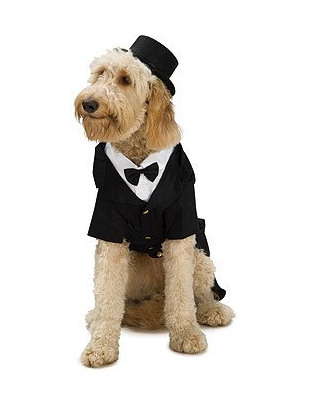 This sophisticated dapper dog tux includes a black jacket with attached bow tie and cape. 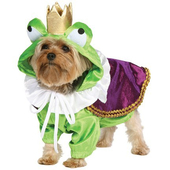 Costume also includes matching black hat. Measure from the back of neck to hind.